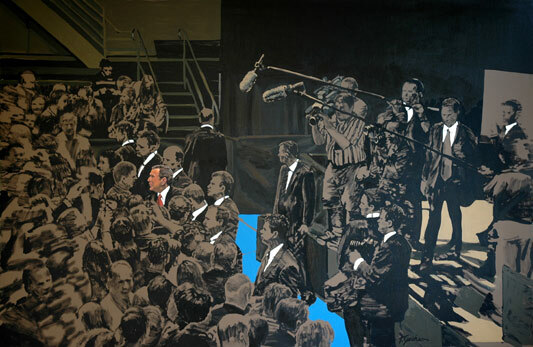 Capturing Reality, oil on canvas, 2006, 68" X 103"
This painting was selected by Michelle Robinson, Curator of Collections and Exhibitions at the Figge Art Museum for the solo show Iowa Pastimes: Politics and State Fairs, the Figge Art Museum, Davenport, IA, 2007. 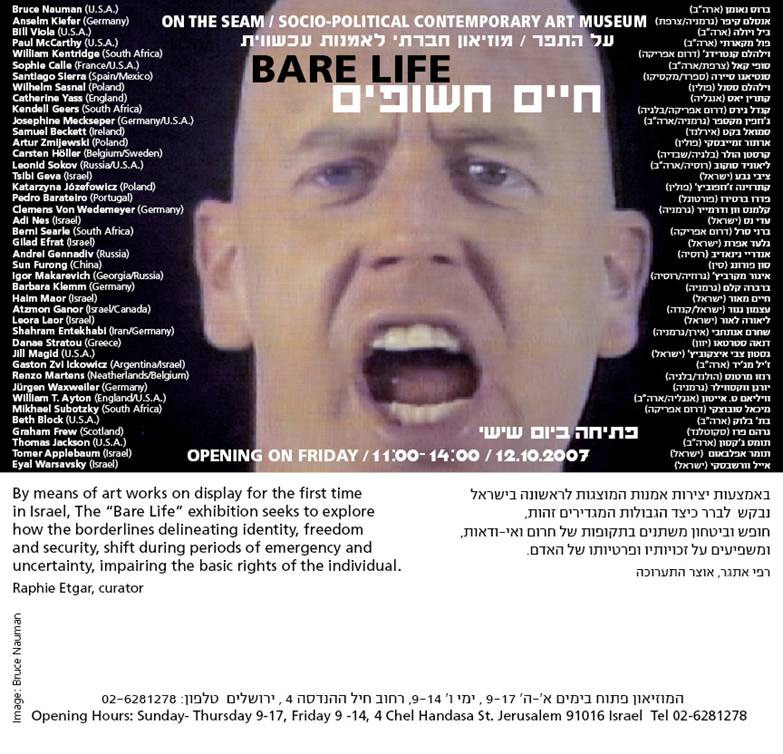 This painting was also selected by Raphie Etgar, Art Director and Chief Curator at the Museum on the Seam in Jerusalem, Israel for inclusion in Bare Life, an international exhibition at the Museum on the Seam, Jerusalem, Israel, 2007 to 2008. Click here to go directly to the Museum's page which lists artists and artwork in the show.